In one of my papers I indicate that the claim on how Indonesia is ready for e-voting comes from the assumption that implementing e-voting would be similar to implementing e-banking, e-commerce, and most recently e-procurement. Several published papers on e-voting in Indonesia concerned only about technical terms and parameters, such as: how encryption can be applied on digital votes and how the architecture of the system should be. They failed, however, to look at the bigger picture of how e-voting is different from the other electronic transactions and how implementing the technology requires a more comprehensive study in, not only technical, but also social, political and cultural fields. It seems the proponents of e-voting for Indonesia’s presidential election have neglected the fact that e- voting is classified as a Safety Critical System. E-voting has a different philosophy and applies different sets of rules. For instance, e-banking provides a certain level of tolerance for any errors that may come from frauds, system faulties and dysfunctionalities, or from exploits on known system’s weaknesses. This is not the case with e-voting. Errors and non-accomplishments in vote casting, calculation and tabulation, however insignificant, may be used politically to cause losses of public confidence in the voting system and the result. This situation may lead to a public initiative for a re-election, which means increases in social and political costs. Continual losses of confidence may further affect public trust in the election organizer and in the running government, which at the end may cause social, political, economic and cultural unrests that would threaten the running of the country and endanger the life of its citizens. The idea of applying e-voting technology in Indonesia is still debatable. Adam Schmidt of IFES, for instance, stressed on the importance of thorough assessment over e-voting applicability before jumping into conclusion that Indonesia is ready for the technology. He further stated that a failure to do so means the decision to use e-voting is ill- advised and premature. Similar notion was issued by Wardhani of Puskapol UI who suggested that Indonesia would need more proper preparations, in terms of supporting regulations, infrastructures and human resources, before deciding whether or not to use the technology. Bruce Schneier, as quoted by Rebecca Mercuri, argued that flaws in e-voting systems mainly originate from its underlying technology, the internet. The use of the internet for e-voting system makes it highly vulnerable. The holes through which attackers could penetrate and cause malfunctions to systems connected to the internet are there to exploit, and they are known to the world. 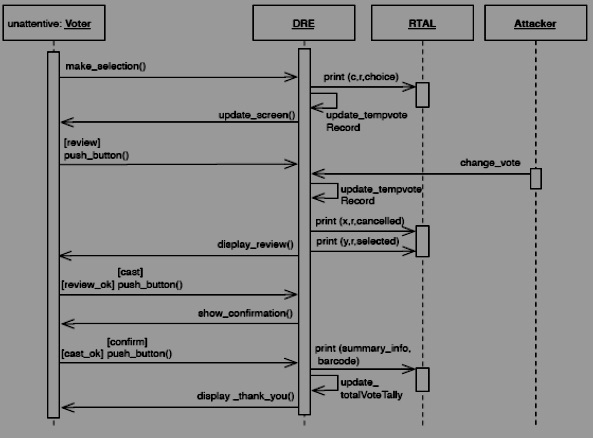 A design methodology that fully relies on obscurity or lacks transparency, thus, should be avoided. A proposed e-voting system has to be publicly assessed and verified, which unfortunately has not been the case in Indonesia. Despite the euphoria, there are very few papers about e-voting in Indonesia and none of them emphasizes on the importance of public observations and reviews. Additionally, the reports of e-voting simulations held in Bantaeng and Boyolali strongly suggest that the technology should be used for elections at national level. One of the arguments presented is that most of the surveyed voters agreed the system is easy-to-use and worthy of trust. However, the reports inhibit impartial judgment as the respondents might have very little knowledge about e-voting. Indeed, more than 80% of the respondents were less-educated and never went to high schools. It is also said that the system provided high-level privacy as it did not store any record of the voters. Yet, they failed to realize that it may further introduce another problem, such as the absence of verifiability. The reports shows very little, if any, relevant empirical evidence to support the claim on Indonesia’s readiness to implement e-voting technology. However, the simulation in Bantaeng brought about some recommendations for future simulations, e.g. 1)strengthening legal advocation; 2)preparing certification bodies; and 3)educating voters, election officials and political parties. I have been proposing a solution model I call E-Voting Indonesia (Hapsara, M. (2013). E-Voting Indonesia: A safety-critical-systems model towards standard and framework for Indonesia’s presidential election). The model suggests that to address issues with implementing e-voting, Indonesia needs to, firstly, have a firm understanding of the problems lingering its presidential election. It is important to map what e-voting systems have to offer as solutions to the real problems. Aspects to consider include evaluating the previous elections. Secondly, the country needs to know if they are ready with e-voting technology. This requires a thorough assessment of infrastructure readiness, examining socio-technology gap, evaluating policies and regulations, as well as assessing the availability of standards and frameworks. Last but not least, the country needs to make sure that the proposed e-voting system is well-designed. It should study whether a proposed e-voting system has been designed using Safety Critical System approach, whether the protocol has been formally assessed and verified, and whether the hardware can support the protocol. This is an on-going development study, and I really hope the result would place a firm foundation for a better democracy in my beloved country, Indonesia. UII, YOGYAKARTA – The opinion suggesting Indonesia to use E-voting during next 2014 election is still in debate. The system is considered not safe since it has some flaws which can be exploited by irresponsible people. “E-voting weakness can be manipulated by some people as their interest which can disturb the process and result of the voting itself”, as said by Manik Hapsara, Ph.D., lecturer from Informatics Engineering, Faculty of Industrial Technology UII on Friday (26/4). He said the failure to implement e-voting system during election will damage public trust to the voting result. “If that happen, the government may decide to organize re-election. Of course, it waste democracy budget and certainly affect state affair”, he stated. Even though, Manik also admitted that there is some advantages if e-voting successfully implemented such as voting count will a lot of easier so the result can be obtained faster, more secrecy since encrypted, and more practical by using touch screen. “The prospect to utilize this system is still bright, but it is not easy to implement it here. Researcher even stated it can be the first secured system in the world”, he added. In Indonesia, e-voting system has been successfully implemented in some region such as Pandeglang, Banten, and Jembrana. But, the internet connection system to transfer the voting data is not yet fully secured and has many loops which can threaten the voting credibility. Manik afraid some irresponsible people who capable to attack the system through spoofing, virus, and denial of service. Manik mentioned e-voting implementation in other countries, for example in the US, Hawaii, Venezuela, Philippine, and India. It still has problems, such as in hardware, the system itself, and vote. The problem may be caused by bug in the system or hacker attack which penetrated system security. In the end, he concluded “Indonesia is not ready to use this system. We cannot risk our democracy, political economy life, and law to an unreliable system”. YOGYAKARTA, (PRLM).- Gagasan penerapan e-voting dalam pemilihan umum (Pemilu) 2014 merupakan langkah menantang risiko meskipun Komisi Pemilihan Umum (KPU) sukses menerapkan e-voting pada pemilihan kepala daerah di Pandeglang dan Jembrana. Pakar teknologi informasi Universitas Islam Indonesia (UII) Manik Hapsara, PhD menyatakan keberhasilan e-voting dalam dua pemilu lokal tidak bisa dijadikan jaminan bahwa e-voting dalam pemilu nasikonal bisa sukses. Menurut dia tantangan terberat dari penerapan e-voting pemilihan umum nasional pada daya dukung tingkat sosial pemilih. “Tidak mudah mengubah pemilihan manual dengan mencoblos atau mencontreng kertas ke sentuhan layar komputer atau touchscreen maupun mouse-pinter atau klik layar gambar kandidat,” kata dia, Jumat (26/4/13). KPU Pusat terobsesi dengan e-voting pemilu nasional dengan pertimbangan efisiensi waktu dengan catatan setiap pemilih hanya memerlukan memilih 6-45 detik dan data langsung terakumulasi dalam server. Gagasan menerapkan e-voting, menurut dosen teknik informatika Fakultas Teknologi Industri UII, memerlukan kajian mendalam dari berbagai aspek. Aspek anggaran pengadaan perangkat dan dukungan perangkat lunak sebesar Rp 14 trilliun, di antaranya sebanyak Rp 5-6 triliun untuk pengadaan perangkat keras e-voting. Kemudian keamanan, e-voting sangat rentan dengan kegamangan teknologi, serangan hacker. 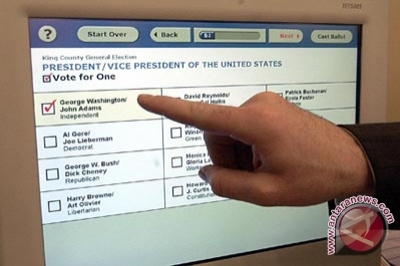 Dalam kasus e-voting di Amerika, seperti terjadi di negara bagian Bernalilo County dan Maryland, gambar kandidat Kerry pada layar elektronik berubah menjadi kandidat presiden Bush. Kasus lain di Maryland dan Orange County, kandidat tidak terdaftar di daerah pemilihan, yang terdaftar kandidat dari daerah pemilihan lain. Kasus lain di Honolulu, Hawai, kandidat dari partai yang tidak terdaftar tampil dalam layar. Menurut dia kasus-kasus kegamangan teknologi tersebut bisa diatasi oleh para ahlinya. Namun, konteks Indonesia, penggunaan e-voting tantangan terbesar pada aspek sosial. Contoh penelitian tentang penggunaan seluler pada warga usia pemilih di Cangkringan, Sleman, 2011, dari 150 responden sebanyak 80 persen tidak menggunakan seluler. Kasus ini bisa dijadikan perbandingan dengan warga di Indonesia Timur, yang bisa jadi lebih tidak mengenal dan menggunakan teknologi informatika dibanding warga di kawasan Indonesia Barat dan Tengah. Sindonews.com – Pemungutan suara merupakan salah satu proses yang dijalani dalam pemilihan umum (pemilu). Jelang Pemilu 2014, wacana menggunakan sistem electronik voting (e-voting) mencuat, meskipun dari sisi pendanaan Indonesia dinilai belum siap. “Wacana menggunakan e-voting memang sudah direncanakan untuk (Pemilu) 2014. Namun dari sisi dana belum mencukupi karena hanya untuk alat saja dibutuhkan Rp5 triliun-Rp6 triliun, padahal budget Pemilu 2014 hanya sebesar Rp16 triliun. Karenanya, kami mulai mensosialisasikan bahwa ada pilihan cara memvoting yakni dengan e-voting,” ujar Dosen Magister Teknik Informatika UII Yogyakarta Manik Hapsari PhD, di DIY, Jumat (26/4/2013). Hal ini, kata dia, untuk mempersingkat waktu, meski diakuinya masih banyak kekurangan dalam sistem tersebut. Namun dengan diketahui oleh masyarakat luas, ia berharap sistem e-voting bisa diterima. “Penentu utama keberhasilan pelaksanaan e-voting memang terletak pada sosial kultur masyarakatnya. Dengan masyarakat bisa menerima, sistem ini bisa sangat membantu dalam pelaksanaan pemilu. Namun memang untuk beberapa negara maju saja, sistem ini belum berani diterapkan, melihat banyaknya persoalan yang terjadi di negara-negara yang telah mengimplementasikannya,” katanya. Diungkapkan Manik, negara yang telah menggunakan sistem e-voting antara lain Amerika Serikat (AS) bahkan sejak 1990, India dan Filipina. Meski di negara-negara tersebut pelaksanaan e-voting dinilai berhasil, namun masalah-masalah diakibatkan kesalahan pada data yang masuk. Hal inilah yang membuat Inggris dan Kanada sampai saat ini pun masih menjadikan sistem ini hanya sebagai wacana. “Meski kami memperkenalkan sistem ini, yang harus dilakukan ialah sebelum benar-benar bisa diterapkan, sistem ini harus teruji dulu. Semua kekurangan yang terjadi selama ini harus sudah bisa diatasi dengan sistem yang baru,” tuturnya. Dikatakan dia, sistem e-voting tetap memiliki kelebihan yakni masih bertoleransi terhadap kesalahan. Mengenai masalah transparansi, sistem ini cukup akurat karena memang dari awal telah didesain memiliki pengamanan yang baik. 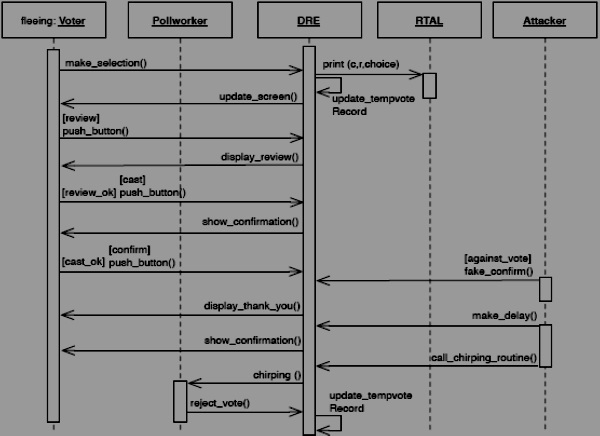 Namun wajib dipastikan input pada sistem sama dengan data yang tersimpan. “Saat ini menjadi tugas pemerintah dan akademisi untuk mengakomodir masyarakat dalam memperoleh informasi mengenai sistem e-voting. Dengan siapnya masyarakat, maka sistem ini siap dilaksanakan,” imbuhnya. Sementara itu, Humas Pascasarjana FTI Jerri Irgo menambahkan, penelitian mengenai keefektifan e-voting sebenarnya telah dilakukan sejak beberapa bulan yang lalu, namun hal tersebut ternyata juga tidak membuahkan hasil yang baik. “Penelitian sendiri dilakukan di Desa Kepuharjo Kecamatan Cangkringan. Ini untuk melihat sejauh mana keterbiasaan masyarakat dengan perangkat komputer dan internet. Dan memang dari segi sosial kultur, masyarakat kita memang belum siap. Karena itu e-voting perlu diperkenalkan,” imbuhnya. 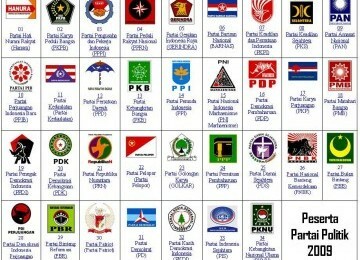 Partai peserta pemilu 2009 (ilustrasi). REPUBLIKA.CO.ID,YOGYAKARTA–Penerapan “e-voting” atau pemilihan elektronik pada Pemilihan Umum 2014 rentan menimbulkan berbagai masalah, kata dosen Teknik Informatika Fakultas Teknologi Industri Universitas Islam Indonesia Yogyakarta Manik Hapsara. “Performa ‘e-voting’ dinilai tidak aman, dan berpotensi memberi dampak negatif yang sangat besar. Kelemahan ‘e-voting’ memungkinkan masuknya kepentingan pihak-pihak yang ingin mengacaukan proses dan hasil pemilihan,” katanya di Yogyakarta, Jumat. Menurut dia, kegagalan pada penerapan “e-voting” dapat mengurangi kepercayaan masyarakat pada hasil Pemilihan Umum (Pemilu) 2014. Jika terjadi, kemungkinan harus mengulang proses pemilihan, yang artinya akan ada pembengkakan biaya demokrasi, dan jika berlarut dapat membahayakan kehidupan negara. “Di Indonesia, Komisi Pemilihan Umum (KPU) dinilai berhasil menerapkan ‘e-voting’ pada pemilihan kepala daerah (pilkada) di Pandeglang, Banten, dan Jembrana, Bali. Namun, koneksi internet yang digunakan untuk mengirimkan data suara ke pusat tabulasi memiliki banyak lubang keamanan yang dapat mengancam kelancaran dan kredibilitas ‘e-voting’,” katanya. Ia mengatakan beberapa serangan sangat mungkin dilancarkan kepada internet seperti “spoofing”, virus, dan “denial of service”. Dalam “e-voting”, internet berfungsi mulai dari menampilkan “electronic ballot” hingga mengirimkan data suara ke pusat tabulasi. “Beberapa pengalaman penerapan ‘e-voting’ di beberapa negara seperti Amerika Serikat, Venezuela, Filipina, dan India menimbulkan masalah masing-masing mulai dari ‘hardware’ tidak bekerja, sistem tidak mendukung, dan suara yang hilang,” katanya. Menurut dia, permasalahan itu bisa terjadi karena terdapat “bug” pada sistem atau berhasil diretas oleh “hacker” dengan menanamkan program yang dirancang untuk mengganggu kerja sistem. “Saya menilai Indonesia belum siap menerapkan ‘e-voting’ pada Pemilu 2014. Jika tetap dilakukan akan timbul pertanyaan, apakah kita mau mempercayakan keselamatan dan kehidupan sosial, politik, ekonomi, dan hukum kita pada sistem yang tidak terpercaya?,” katanya. Author Manik HapsaraPosted on 3 May 2013 Categories e-votingTags e-voting, e-voting bermasalah, e-voting indonesia, kegagalan e-votingLeave a comment on E-Voting Pemilu Rentan Masalah? Jogja (Antara Jogja) – Penerapan “e-voting” atau pemilihan elektronik pada Pemilihan Umum 2014 rentan menimbulkan berbagai masalah, kata dosen Teknik Informatika Fakultas Teknologi Industri Universitas Islam Indonesia Yogyakarta Manik Hapsara. “Performa `e-voting` dinilai tidak aman, dan berpotensi memberi dampak negatif yang sangat besar. Kelemahan `e-voting` memungkinkan masuknya kepentingan pihak-pihak yang ingin mengacaukan proses dan hasil pemilihan,” katanya di Yogyakarta, Jumat. “Di Indonesia, Komisi Pemilihan Umum (KPU) dinilai berhasil menerapkan `e-voting` pada pemilihan kepala daerah (pilkada) di Pandeglang, Banten, dan Jembrana, Bali. Namun, koneksi internet yang digunakan untuk mengirimkan data suara ke pusat tabulasi memiliki banyak lubang keamanan yang dapat mengancam kelancaran dan kredibilitas `e-voting`,” katanya. “Beberapa pengalaman penerapan `e-voting` di beberapa negara seperti Amerika Serikat, Venezuela, Filipina, dan India menimbulkan masalah masing-masing mulai dari `hardware` tidak bekerja, sistem tidak mendukung, dan suara yang hilang,” katanya. “Saya menilai Indonesia belum siap menerapkan `e-voting` pada Pemilu 2014. Jika tetap dilakukan akan timbul pertanyaan, apakah kita mau mempercayakan keselamatan dan kehidupan sosial, politik, ekonomi, dan hukum kita pada sistem yang tidak terpercaya?,” katanya.